Ron Fox provides guidance and advice to law students and lawyers exploring their options within and outside the law. He will be available as a resource to members at Solo Practice University®. Ron has, for the last twenty-five years, worked with dissatisfied lawyers, lawyers in transition and law students providing them with advice and guidance on how to find positions consistent with their professional goals and personal values. Much of his practice involves helping dissatisfied corporate litigators learn they are not trapped, have options and can overcome the lack of self-worth and self-confidence caused by the failings of legal education His goal is to help lawyers take control over their careers …. and their lives…. and to gain autonomy, a sense of meaning, integrity, satisfaction and self-respect. Ron is a Solo Practice University™ Resource. Students can read his comments, suggestions, thoughts and opinions on the Solo Practice University™ fora, his homepage, his blog and FindLaw articles. His individual career planning consultation services are available at a reduced rate to Solo Practice University™ students. After graduating from Harvard Law School and serving in the US Army JAG, he took a position with a corporate law firm and immediately realized that he was in the wrong place. This was his first encounter, a personal one, with the issue of career planning. Over the next 15 years he practiced law in an insurance company, with a solo practitioner, and in a firm he founded that represented low and middle-income people. He also became one of the first lawyers in the country to offer divorce mediation, served on the board of legal services programs, created lawyer referral programs and started an association of legal clinics. Because of his experience with small firms and public interest organizations, he was hired in 1984 to be an adviser to those students at Harvard Law School not interested in working for large corporate law firms. For the next five years he provided individual guidance to hundreds of intelligent, creative, self-sufficient students, sadly watching most of them being reluctantly funneled by the law school to large law firms because the law school did not prepare them to practice law, did not make them aware of their options and focused on on-campus interviewing. He also edited the Harvard Law School Public Interest Directory. 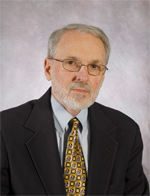 After he left that law school (when a new dean stated incorrectly that its students had little interest in representing individuals), he began advising law students and lawyers, consulting to and presenting workshops for over 25 law schools and bar associations such as the ABA Public Service Division’s “Town Meeting”; co-facilitating a retreat for law school deans on Legal Education Reform at the Fetzer Institute; authoring “Lawful Pursuit: Careers in Public Interest Law” published by the ABA; and co-authoring the on-line column, “Find Satisfaction in the Law – Taking Control Over Your Career and Your Life ” for FindLaw.